90% off Urban Decay Cosmetics! Prices Start at $2.00! Hurry over to HauteLook and get Urban Decay cosmetics up to 90% off! 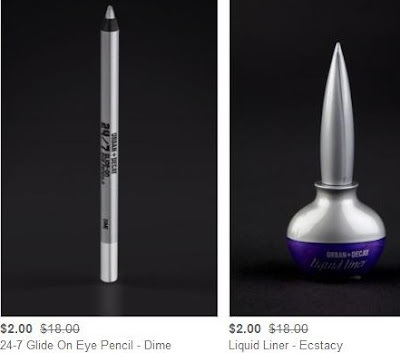 There isn't a huge selection to choose from, for example, only 2 colors of eye pencils and one liquid liner. There's also tinted moisturizers, regularly $30 for only $3 and a few other things. Again, not a big sale, but definitely worth checking out!